Some mirror hours have double figures like 11:11 but there are also reversed mirror hours like 12:21 and triple mirror hours like 00:02. These hours are very special, but it is not uncommon for them to call out to us. They each carry their own message for the person who comes across them on a regular basis. This is definitely not something that happens through chance or pure coincidence. These hours hide a message and we need to know what that message is in order to understand what they are trying to tell us. 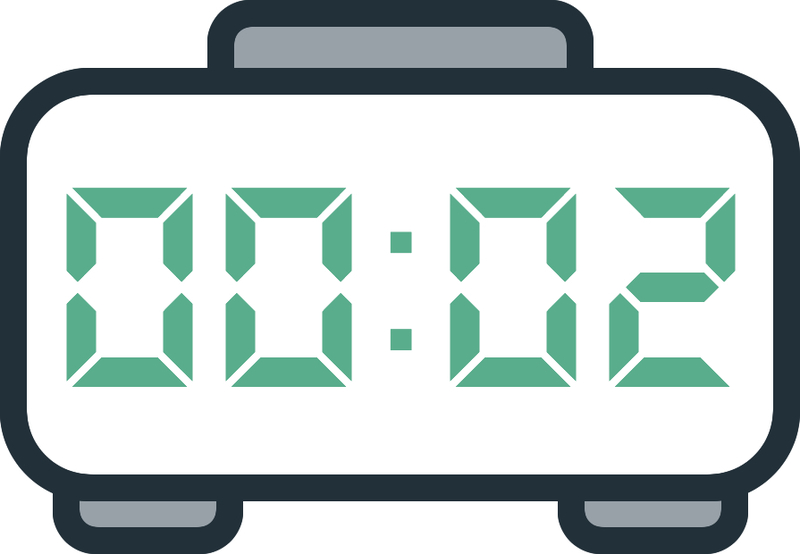 If you have come across the triple mirror hour 00:02 before then it could be a sign that someone is trying to get in contact with you. There are several reasons that you might be coming across this hour regularly. The hour holds a message which could be coming from the guardian angels or from numerology. It could be a sign from your own guardian angel, from someone who’s thinking about you, or from an entity that wants to get in contact. It could also be a message stemming from your subconscious or that holds answers to questions you’ve been thinking a lot about. As you can see, this mirror hour could have many meanings. To help you find out exactly what it is trying to tell you, you can rely on an interpretation of it using the guardian angels and numerology to make things clearer in your mind. Through the triple mirror hour 00:02 the guardian angel Veluiah is telling you that he will give you the will you need to accomplish anything as well as give you bravery, grit, and motivation. The huge amount of energy he gives you will allow you to succeed in anything you do as long as you stay focused on your goals. 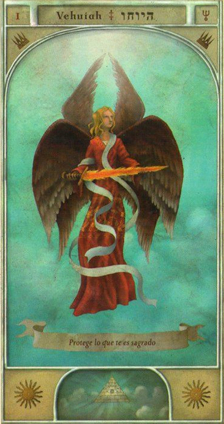 This guardian angel, who is your patron and protector, is also making sure to tell you that thanks to all of the positive qualities he has provided you, you will find it easy to become a revolutionary, visionary, and/or role model for others. He gives you his love and wisdom to allow you to improve yourself while also building up your confidence and self-assurance. To help you in your life the angel Vehuiah is also letting you know that thanks to his light and clairvoyance you will have the ability to remove yourself from any obscure situation you may find yourself in. He is always there to help you control your unwarranted tempers and the turbulent energies within you. He is also letting you know that he will help you to develop your passion and give you a whole new way of thinking about things. Through this triple mirror hour the guardian angel Vehuiah is also saying that he will be of valuable help to you if you are currently feeling sick or depressed or if you are in a state of confusion or doubt. To give you better health he will fill you with his fiery energy, his courage, his zeal, and his bravery. What’s more, he will teach you to channel and balance your strengths. Through the triple hour 00:02 your guardian angel will also correct your tendency to impose your will on others or to mess with fate. He also warns that your stubbornness and overly authoritative demeanor in relationships won’t get you anywhere. From now on he will put you on the right path. 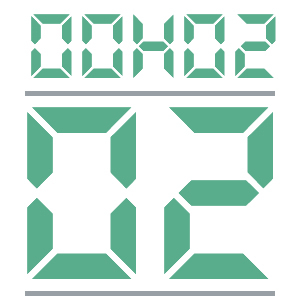 What does 00:02 mean in Numerology? The number 2 is the symbol of balance, harmony, cooperation, love, receptivity, gentleness, righteousness, and flexibility. When the numerology of this number is associated with the triple mirror hour 00:02 there is a certain message that it is trying to send you. It is saying that you have a great sensitivity when it comes to your feelings and the feelings of others. You also have the skill of clairvoyance. This number also says that since you are a sensitive person you know what other people want and how they are feeling. Because of this you know how to be tactful and how to demonstrate your thoughtful side. The number reminds you that you are a persistent and cooperative person and that you should continue in this way for your own fulfillment as well as the fulfillment of those around you. However you must also be careful as your sensitivity may lead to your downfall. Your ego is very delicate and easy to upset since you find it difficult to take criticism and negative comments. This can also lead you to repress your talents or keep them to yourself. Since you are easily harmed you have a tendency to keep your thoughts to yourself as well, and this can lead to outbursts or struggles within yourself. The angel number 2 reminds you that you are a warm, affectionate, tender, and lovable person. You know this, and you always need someone to give your love to. You are sensitive and passionate and your insight allows you to recognize and understand the needs and desires of your partner. To succeed you need a calm, comfortable, and secure environment but above all you need the company of your loved ones. Once you have found such a place it will be easy for you to call upon your intelligence and your talents and this will lead you to success. Success will also come to you through cooperation, partnerships, and alliances with others. Any comment on the 00:02 mirror hour?